There are usually two camps when it comes to cruises: “I love cruises! I’ve already signed up for my next one,” and “I would never go on a cruise!” I used to be the latter. Spending every free vacation of my college years traveling to third world countries, I was a bit of a hippie travel snob. I avoided Europe and cushy vacations. But after a two week honeymoon driving through India in a van with 9 of my relatives… I was ready to sign up for a floating hotel. So here are tips on how to enjoy a cruise from a reformed elitist traveler. You’re on a boat in the middle of a salty ocean. So much water and not a drop to drink. Do you really want to debate a $3 water when you’re thirsty for two weeks straight? No. Bottled water, juice, beer, some wine, coffee-to-go, rail liquor (though they don’t call it that) is included in the drink package. Premium lets you order anything your little heart desires. You can pick up a drink almost any time from the endless bars around the ship, including at your seat in the theater or from waiters poolside. To not carry cash and order a glass of wine at your every whim gives you the free, pampered feeling these kind of vacations should be made of. When the shore excursions were advertised at 20% off a few weeks before the cruise, I wanted to buy a few. They have two major benefits: they require no planning, and they guarantee you get back on the ship before it leaves. After a childhood of hearing about the time my 17-year-old father was left behind in Helsinki without his passport, this sounded fairly important. 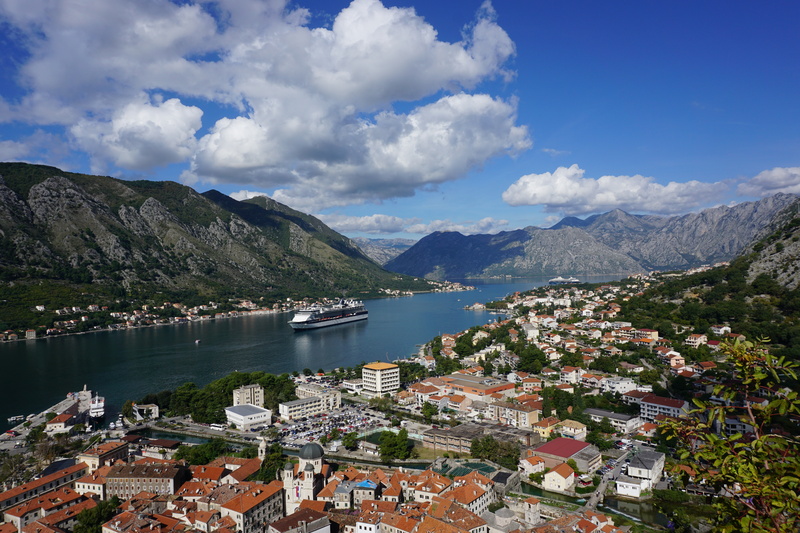 However, my husband insisted that we would enjoy the flexibility of choosing the excursions on the ship, where we could better judge how we felt. We could decide if we want to book something that filled the whole day, half the day or go off on our own with better accuracy. I was afraid they’d sell out We compromised. I booked a food tour I was excited about (wine and olive oil tasting in Dubrovnik). We booked the full day in Rome, because his previous experience told him that a tour that could cut lines would be the only way to do it all in a day. Most other days we booked while on board. And on two days we winged it. NOTICE: Some ports are as far as an hour away from the city you want to visit, particularly Civitavecchia outside of Rome and Salerno off of the Amalfi Coast. Factor in the time and cost if you’re winging it. There will be taxis at the port to take you to the city, but it will cost you! Pros: the tour guides are well-tested and know their stuff. 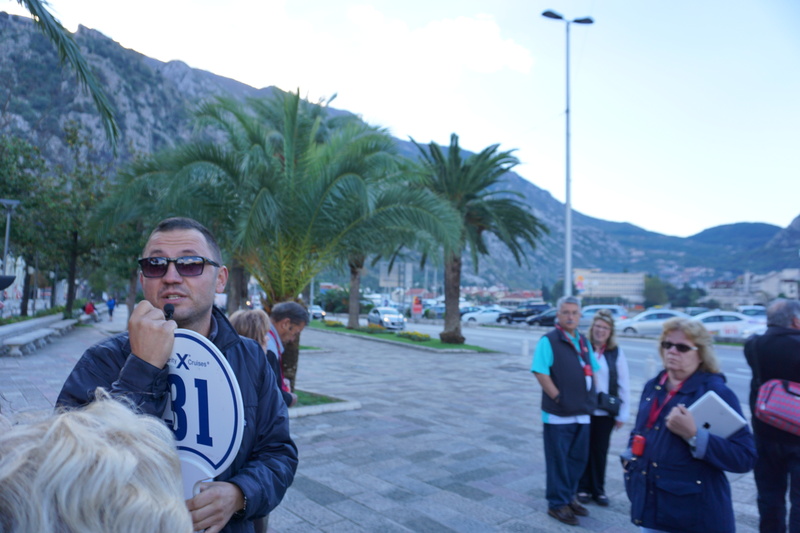 Our guides in Sicily, Rome and Kotor were capable and often hilarious simply for being characters. Also, the prices aren’t that inflated. When you add all the individual parts up, they’re basically the price the cruise gives. Cons: the restaurants chosen for the included lunches are good, not great. Also, time-wise, they can play it a little too safe and arrive back at the boat a bit early. In some cases, like Salerno, you can go back out and enjoy the port city before getting back onboard. Will you get extra perks? No – they’re trained exceptionally well and would rather not lose their jobs. But it’s a lot more fun when they greet you each day as an individual. They register what you like and try to do right by you. Ask them about their lives and their families. 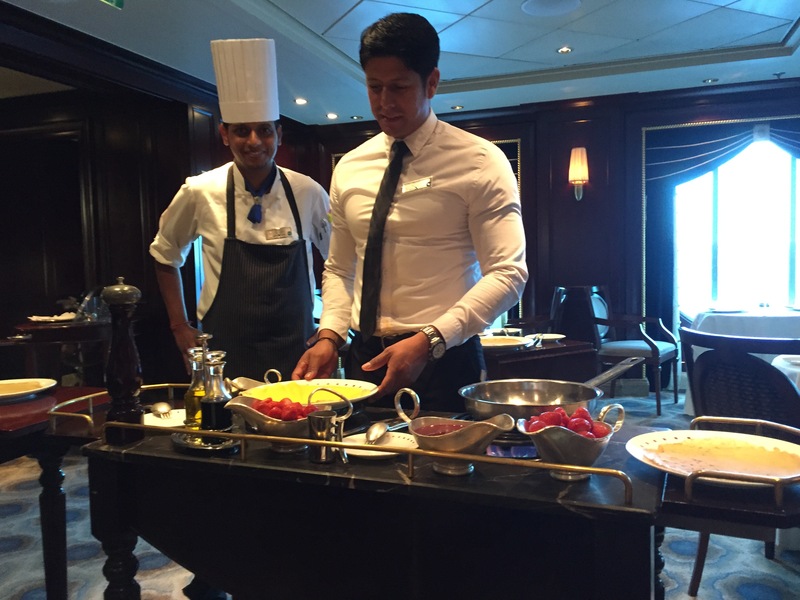 The international crew is a glimpse into cultures and societies around the world, not to mention the unique life below deck on a cruise ship. If you have a set dinner time, it’s the same waiters every day. Check if it’s free for you… if it is, DO IT! Room service is another piece in the luxury puzzle, helping remove you from the everyday life you’re trying to shut out for the week. Exactly what you ordered arrives on time, a huge plus when your excursion requires you meet at 7:15am. 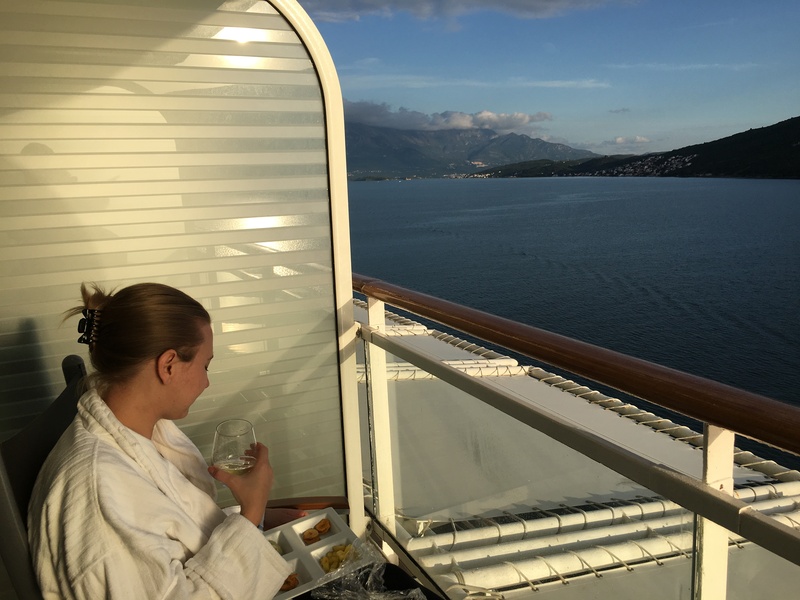 Sitting on a balcony in your white robe, you can sip coffee and peel hard-boiled eggs. Or you can drink your smoothie and eat your omelette while you get ready for your shore excursion early in the morning. the romance. My husband and I had different ideas of the best way to spend a day at sea. He wanted to participate in every activity offered – poker, ping-pong, trivia, etc. I wanted to read a book on a lounge chair while holding a margarita. Separating during sea days and meeting up for the show gave us new things to talk about at dinner. I suggest buying walkie-talkies so that you can check in. CELL PHONES ARE A NO GO. Roaming kills you at sea. Watch out; you’d be surprised how reliant you are on them to coordinate with others. I think a seasoned cruiser would say something about making sure you chose the right cruise line, the right ship, the right trip and the right time of year. They could probably compare the shows and the dining options. But I would say, just make sure the stops are where you want to go. And also be aware that particular cruises and times of year may determine the average age of the guest on the ship 😉 I’ll talk more about that in upcoming posts. Last, but not least, I think next time I’ll go with a large group of family and/or friends. I can see how this would be a vacation that could include all ages and let people separate and convene with ease. 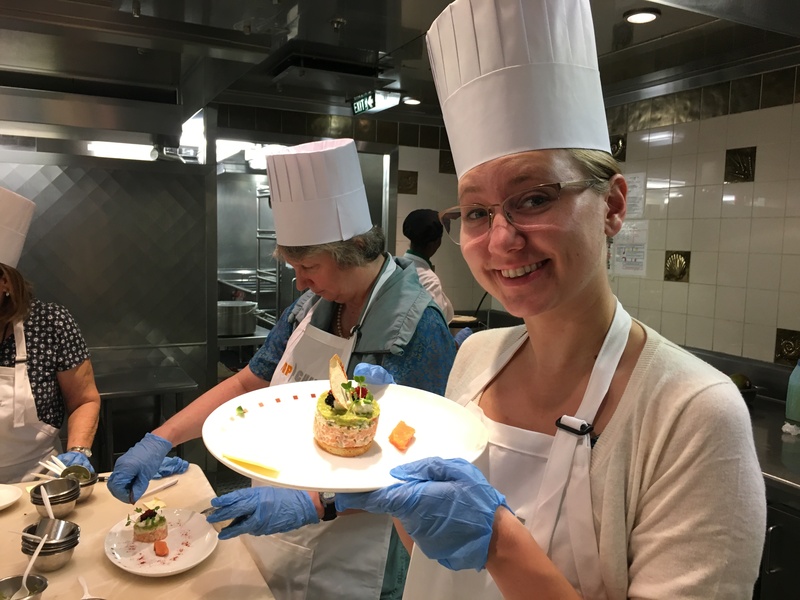 What a great summation of the cruise experience – and good insights on how to enjoy it all.